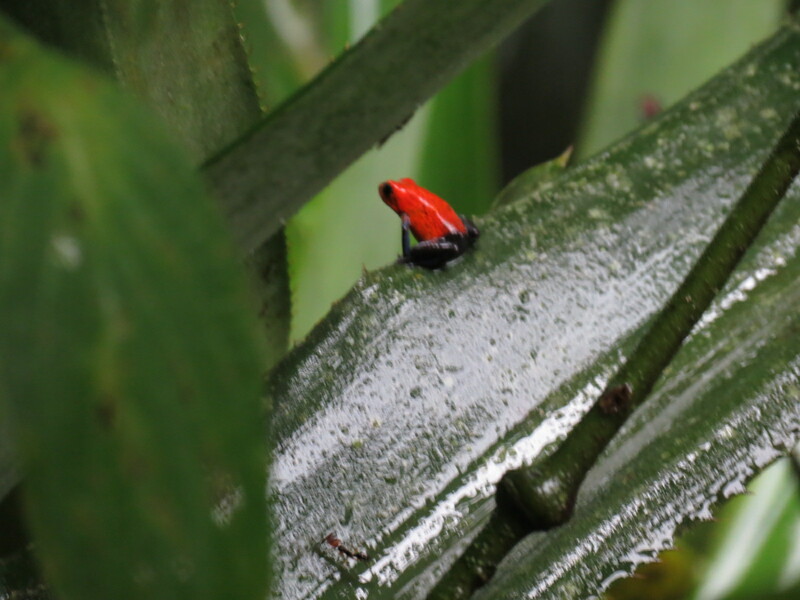 The flora and fauna is definitely interesting and pulls me away from the work we are doing here. And we are working – I promise! And what exactly is the work we are doing? 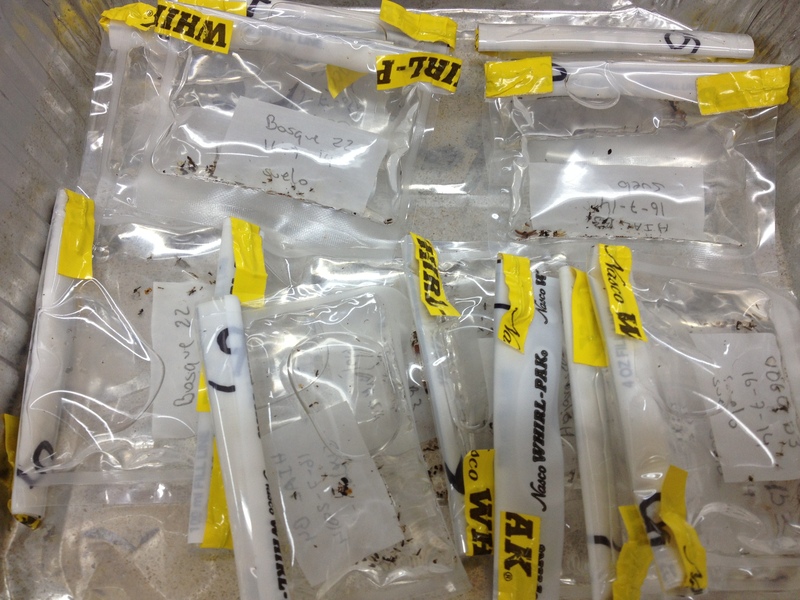 Soil Samples from field sites. In a nutshell our team of 3 science teachers (Alex Melendez, Marty Buehler, Jaime Miriam), 2 scientists (Ann Russell, John Moore) one lab manager (Greg Selby), and myself are here to learn about the soil food web. This means riding bicycles through the forest to research plots that have existed for years and have been used by Dr. Ann Russell of Iowa State University. 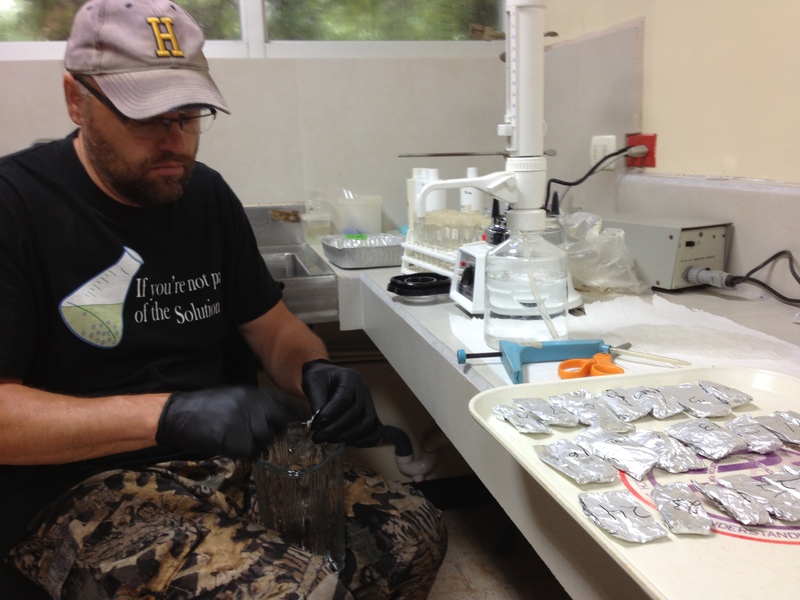 Soil samples are taken at these plots and brought back to the lab. 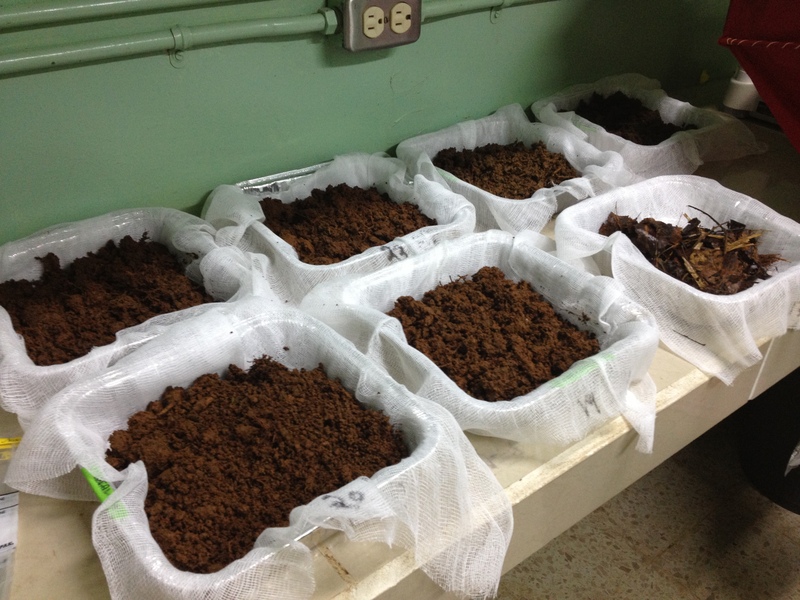 A few days of sample preparation is done and then there are a few days of wait time for the soil fauna to be extracted, using different techniques. We then look at what has been extracted under a microscope and can determine what lives there. 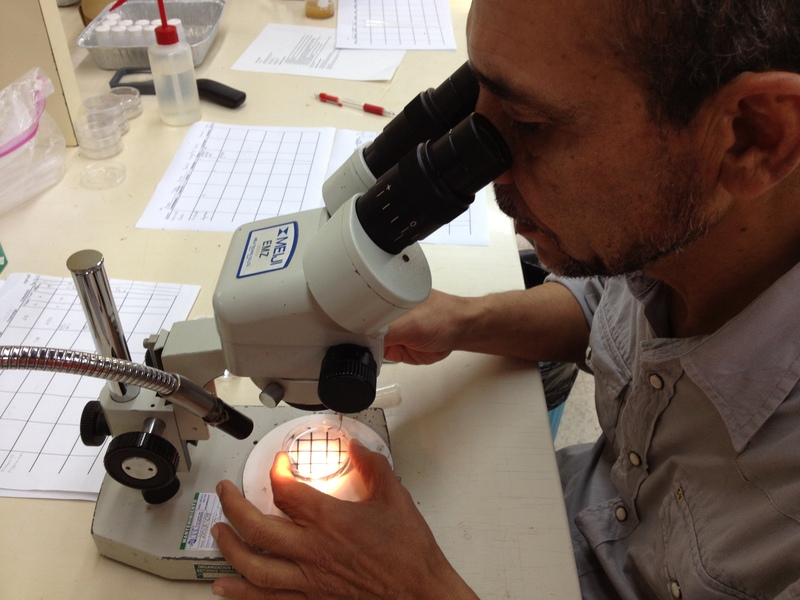 We are looking specifically at Arthropods, Protozoa, Bacteria, and Fungi. 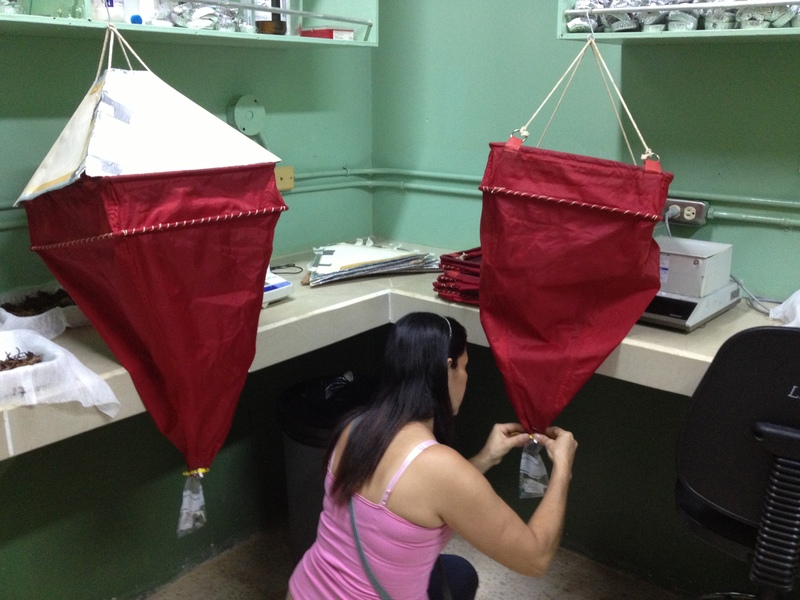 Flor sets up the Berlese Funnels for arthropod extraction. For those familiar with my Ten Days On The Tundra blog a couple of years back, this is an extension of that project. Once we have data collected in the rainforest, we will have this information from the tropics, shortgrass steppe, and arctic tundra. For more photos, see below! Arthropods have been extracted and are ready to be looked at under the microscope. 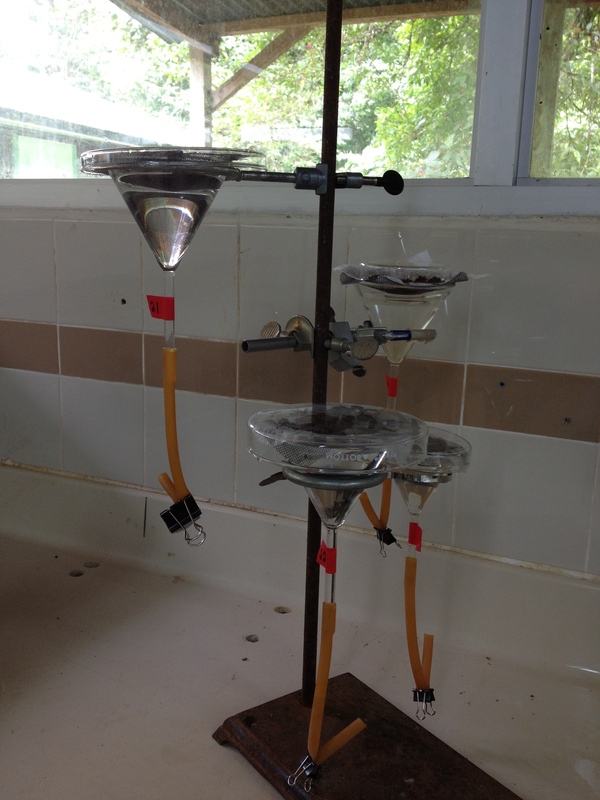 Set up complete for Protozoa extraction! 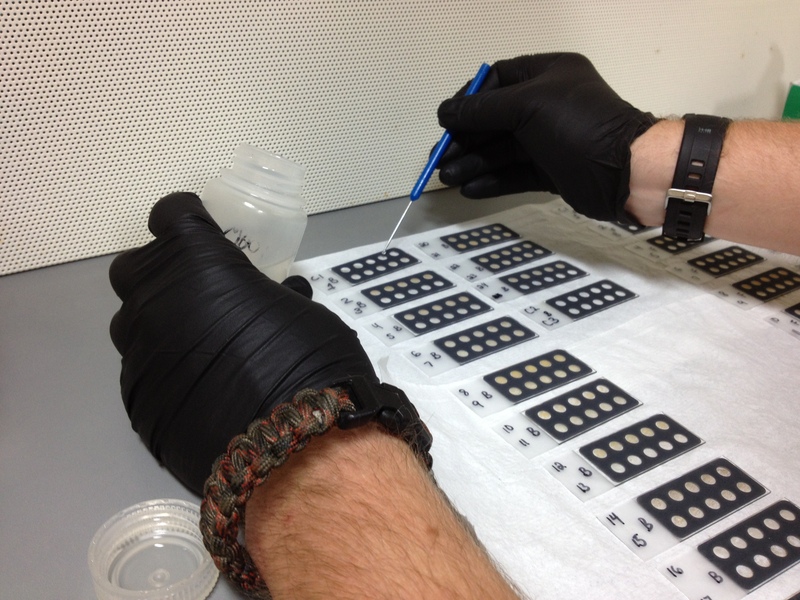 Creating the nematode extraction slides.